…Security forces must be held accountable for killing of at least 45 peaceful Shi’a protesters. By Sadiq Umar – There is a strong evidence that soldiers used automatic firearms on Shi’a Muslims holding religious procession and protest, Amnesty International has said. The International body also said atleast 39 protesters were killed and others 122 injured, in a single day of the protest, victims include men, women and children. 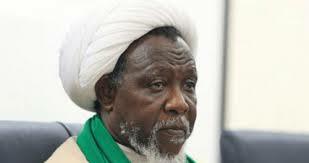 “An investigation by Amnesty International shows that the horrific use of excessive force by soldiers and police led to the killing of at least 45 supporters of the Islamic Movement in Nigeria (IMN) over two days, as the Shi’a Muslim group held a peaceful religious procession around Abuja,” it said in a statement by its Media Manager, Isa Sanusi, Thursday. In a statement circulated by PR Nigeria, Amnesty International- Nigeria said its researchers visited five different locations in Abuja and Nasarawa state where wounded IMN supporters were receiving treatment, including two locations where bodies were deposited. “Researchers spoke with victims, eyewitnesses and medical practitioners, and analyzed videos and photographs of those injured and killed during the protests, which took place on Saturday and Monday. Amnesty International has evidence that the military used automatic firearms during Monday’s protest, in which at least 122 protesters sustained gunshot wounds and at least 39 were killed. “At least six people were killed in protests on Saturday. The organization’s research team counted 24 bodies (23 male and one female) and trusted sources provided details of 21 others. Two of the bodies seen had their legs severed, which Amnesty International’s military and weapons expert analyzed as consistent with injuries caused by a heavy fully-automatic machine gun such as a PKM or DShK. Since a massacre of over 350 IMN supporters which took place in Zaria in 2015, the Nigerian authorities have consistently sent in the military to respond to IMN protests or marches. This strategy appears to be at least partly to blame for the bloodshed witnessed on Saturday and Monday. International law is clear that security forces policing demonstrations must not use firearms against protesters unless they pose an imminent threat of death or serious injury, and only if there is no lesser way to avert such threat. They must never use firearms to disperse a demonstration, even if it turns violent. Firearms must never be used as a tactical tool for the management of demonstrations: they may only be used for the purpose of saving another life.